Long-term readers (bless you, how ever have you managed it?) may recall that a couple of years ago I actually changed insulins (from NovoRapid to Humalog) because I was so fed up of my not being able to remember whether or not I had actually taken my mealtime insulin and/or which of the possible dose configurations I had finally settled on. At the time the only injection pen available in the UK which recorded doses was the Humapen Memoir. Had I lived in a different part of the world, there would have been no need to change insulins. The NovoPen Echo, which records doses and provides half units was already available at that time in the US. But not here. Cue general grumblings, outrage and sighing-and-rolling-of-eyes from a handful of discontented UK diabetics. Some even going so far as to launch that most effective of lobbying methods, a Facebook campaign-and-moan page. Not without a whiff of irony, when I changed to a pump my DSN was a little wary of Humalog's reputation for crystallising in tubing so changed me back onto NovoRapid. It did strike me as very odd though that NovoNordisk would happily wave goodbye to any user of their insulin who wanted a pen with a memory in the UK, even though they had such a device available. In the meantime Timesulin (a replacement cap which lets you know how long it was since your pen was last used) has launched and gone on sale in the UK. This tackles the main nagging worry of 'Erm... does anyone know if I jabbed before lunch?' and is compatible with a whole bunch of pens. Sadly though it can't track doses. Well the wheels have turned. The Memoir pen has been taken out of circulation while Eli Lilly try to fix some battery problems and make other improvements. But it seems NovoNordisk have either a) come to their senses or b) jumped through whatever compliance hoops they needed to, because according to Kasper Kofod (Social Media Project Manager at Novo Nordisk A/S) the NovoPen Echo launched in the UK a week or two ago and is available from your local friendly DSN. Update/clarification: Initially the Echo was said to be available only for children. However I now understand that the NovoPen Echo is available to patients of any age. 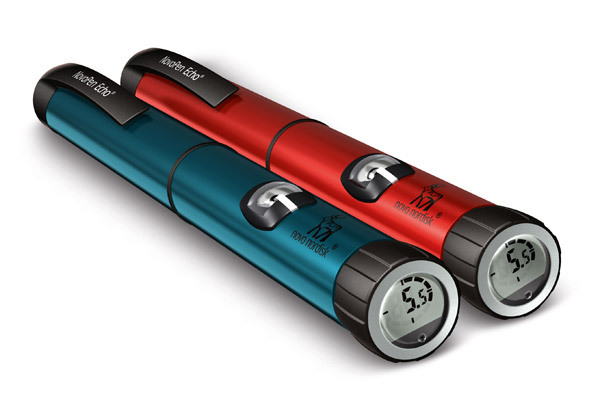 The NovoPen 5 (currently not available in the UK) which has the dose memory, a larger max dose but lacks the half unit may be released in the UK at some point in the future. 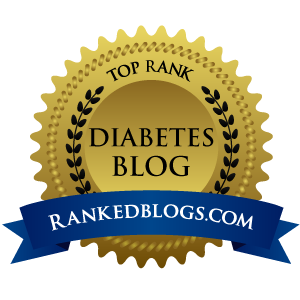 In the unlikely event that you have read these ramblings before, you might remember that I noticed a slightly strange quirk about a week after starting on an insulin pump. The levels which worked perfectly for the first few days went completely out of the window and I had to start again. 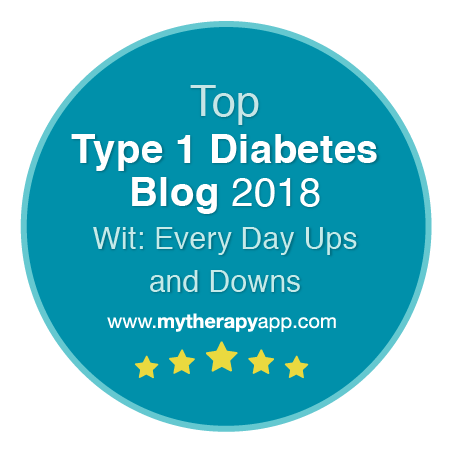 I would probably have ignored this had it not been that two other people who had started insulin pumps at roughly the same time with whom I was comparing notes had very similar experiences. Nothing very earth shattering about it, but just a sense of, "Tch! Fancy that!". I was reminded of the experience though when we finally managed to catch up with an episode of the 'i' series of QI (almost certainly a repeat) which we had squirreled away on the TV recorder. One of the guests was debunker of Bad Science Ben Goldacre. He and national treasure Stephen Fry touched on the subject of placebos. The question being, "How do they work?". The answer, unsurprisingly, was that nobody knows (you'll have to do the booming voiceover in your own head). What was quite interesting though (see what I did there), was that placebos do work. And they work even when people know they are placebos! Not only that, but in clinical trials (if you can clinically trial something with no therapeutic effect) it has been proven that two sugar pills are more effective than one sugar pill. And that an injection of saline is more effective than sugar pills. It seems that a sort of sliding scale of increasing medicallyness (technical term) operates. The mind is truly an amazing thing... It's ability to effect physiological outcomes in the body astounds me. 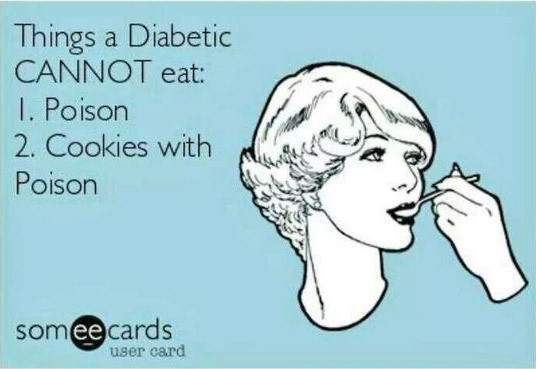 And it makes me think about this in relation to diabetic control. How much one's state of mind might support (or scupper) a person's best efforts. I note for example that my levels were unusually good in the week I had using a pump with saline. Presumably connection to the pump was enough in itself to get my body to exercise a little self-control. 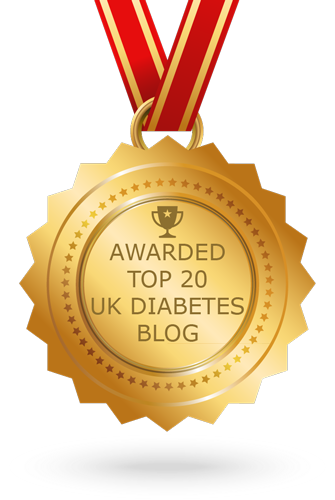 Then during the first week I was able to achieve very good levels with a fraction of the insulin I seemed to need around 10 days after. I'm not sure why it didn't last. Perhaps I'd just got used to the tech and it became more normal and lost its medicallyness. Now all I need to work out is how to convince my mind to provide long-term perfect BG levels using the placebo of bars of chocolate.